La Mare du Diable (translated as The Devil’s Pool or The Haunted Pool, was published in 1846. This French edition was published by Bibliothèque Neson, Paris, 1947. Available translations in English appear to be public domain versions. For images of other book cover art work, visit the Images page in the top menu. 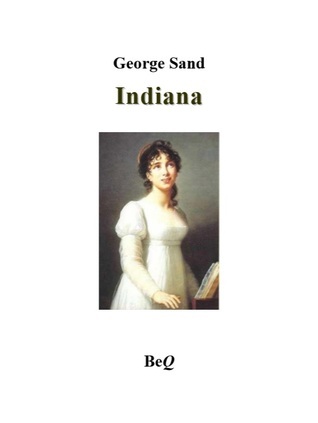 Indiana was published in 1832 and has been translated by Sylvia Raphael with an introduction by Naomi Schor for Oxford University Press (2011). 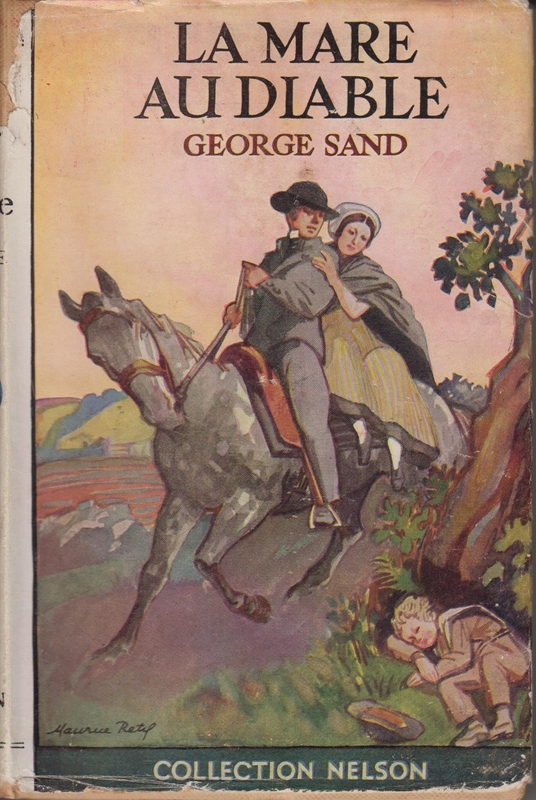 This is a collaborative blog, created through the joint efforts of readers who enjoy the works of Amantine-Lucile-Aurore Dupin – better known by her nom-de-plume George Sand. It is hoped to gather information about her works in one place for quick and easy reference, and contributions from other enthusiasts are welcomed. To access the reviews and summaries that we currently have, visit the Index of Works page (see the menu) where there are links to follow under the title of the work. Also visit sister sites La Comedie Humaine which is a resource for readers of Honoré de Balzac, The Works of Émile Zola and our still-under-development site celebrating the author Guy de Maupassant. Subscribe to receive notifications of new posts to this site (e.g. new commentaries etc.) as they are published. 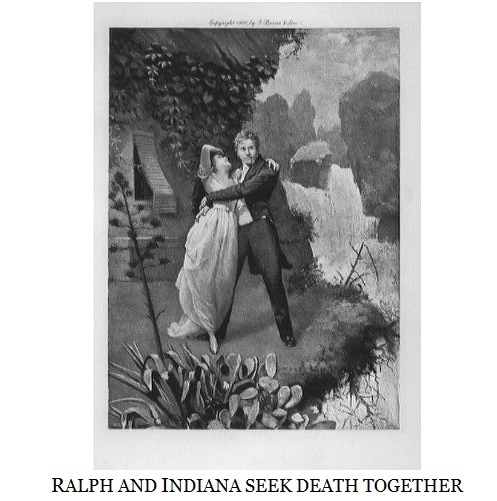 This blog is the brainchild of Lisa Hill from ANZ LitLovers in Australia and co-conspirators Bill Holloway from The Australian Legend and Dagny a.k.a Madame Vauquer from the Vauquer Boarding House. Well, what about you? If you have suggestions, corrections, additional information, or commentaries, summaries or excerpts on your own website that you would like to share, please use the contact form below. We would also welcome contributions recommending the best translations. 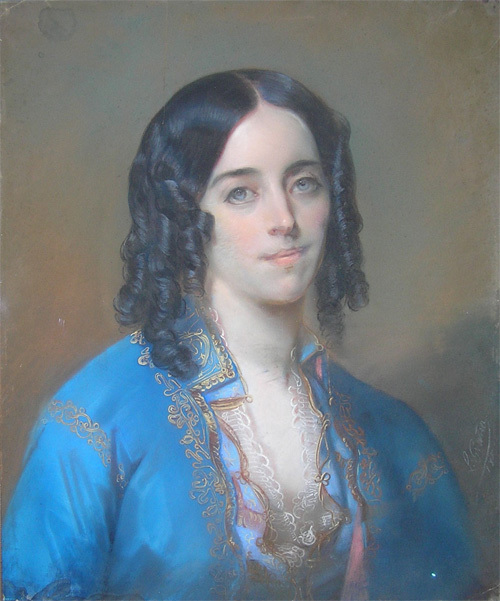 For the story of this painting – once part of a dual portrait with Chopin playing the piano and George Sand smoking a cigar, visit Wikipedia.